The Jil Sander F/W 2012 Men's Collection was one of my favorites - black, leather, what's new? - and the leather lunch bag was one of the items that caught my attention from the very start. 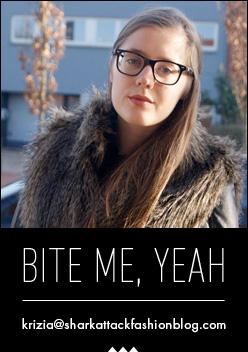 Today, I was browsing the Zara website and I stumbled upon a similar version - at the women's section - and a new Money VS Budget-post was born. I'm definitely going to keep an eye on the Zara version, since - surprise, surprise - the Jil Sander one is sold out at Mr. Porter. Who knew so many men buy designer items online? I found the women's version at Luisa Via Roma, but the one pictured above is my all time favorite. I'm kinda bummed I'm not in (high)school anymore. I have a feeling this item would've sent me straight into the popular group. 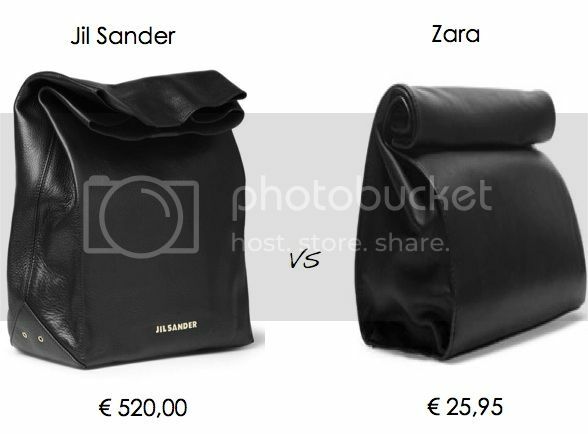 Get the Jil Sander women's version a.k.a. € 480 HERE. Or go for the budget friendly version by Zara a.k.a. € 25,95 HERE. In dit geval zou ik ook voor de budgetversie gaan omdat het niet echt tijdloos is :). Vind ik ook wel leuk, maar idd een budget vriendelijkere versie, vanwege niet praktisch. Ik heb die van de zara en ik kan hem zeker aanraden! Yeah! I love the idea! de echt is van marie turnor, zij heeft de lunch bag als eerste op de markt gebracht. Hoe raar het ook klinkt, de jil sander one is een kopie. I'm not really the biggest fan of such apparent copies of designer pieces by high street brands, but that bag is pretty darn good! Also, did anyone say DIY alert?! I think it would be an awkward idea for a clutch to carry all day, but for occasional use it would be alright. The zara version is much more attractive, just because of the price, haha! really like both bags, although I dislike this kind of blatant copying! I think I like the Zara version better than the Jil Sander one.